We received this update from Lubega Francis of Uganda today. Despite a tragic accident in their area, they're utilizing creativity and skills to care for those in need. Hello brethren, I wanted to take a moment share something. The Lord enabled us to meet someone’s need this week. Namakula Gertrude was involved in an accident. As she was walking with another boy, a boda boda (motorcycle) hit them. 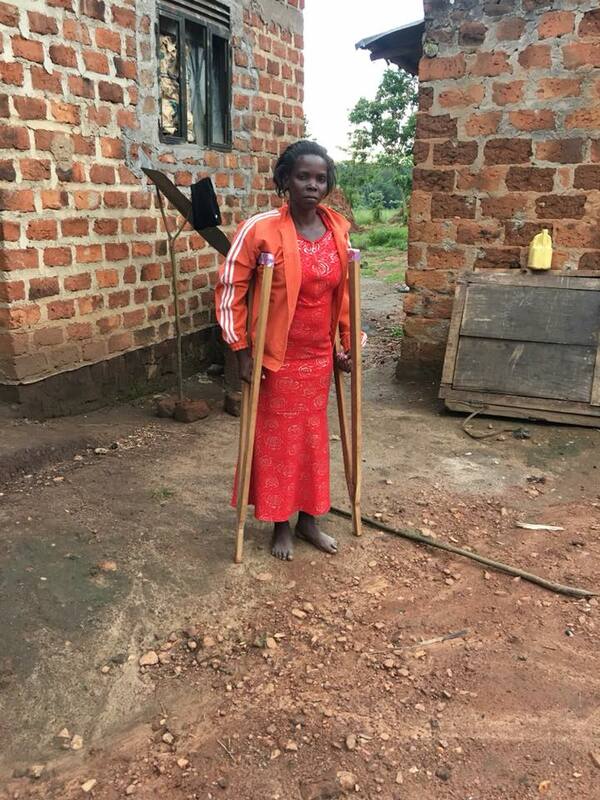 The boy died as he was being rushed to the hospital and for Gertrude, her femur was broken and her healing has been slow because of the struggle to get enough money for the bone setter. They also failed to get money to buy crutches for her. When I saw that we can make those crutches, I and Musaazi [student at the Institute EA] did the carpentry work, Lawrence and Josephine worked on the designs to make them look nice and also to make the handle smooth.